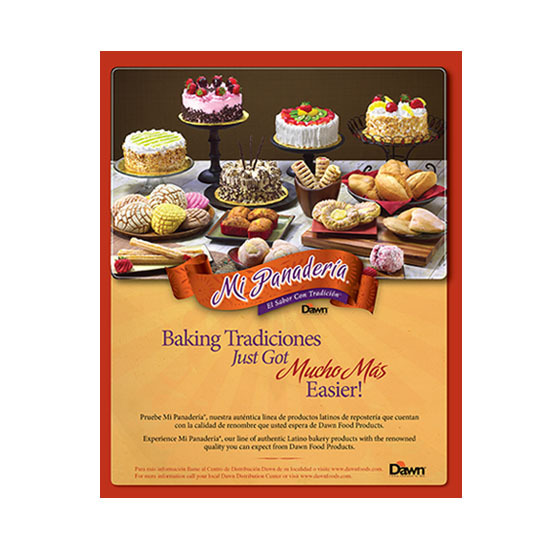 Dawn foods was seeking growth through the development of “more authentic” Latino brands into the US Latino Marketplace. 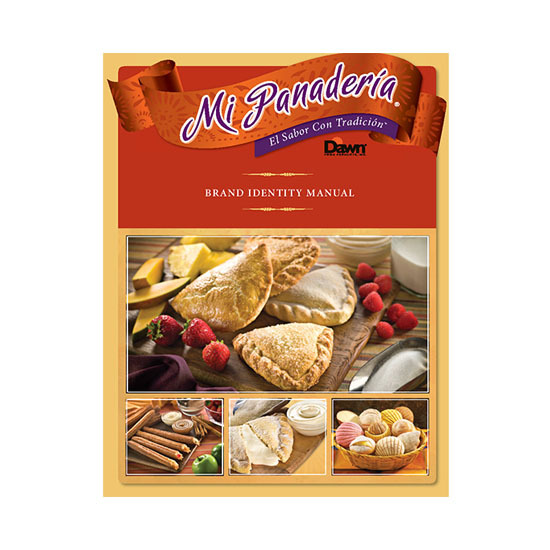 Utilizing our Hispanic Brand Development process, we created an identity for Mi Panadería that speaks directly to customers who are Latino Bakers/Bakeries. An authentically Latino brand similar to what is and has been used in their, or their parents’ homeland (Mexico & Latin America), with a wide variety of products to choose from. These products enhance their panaderia business. This brand has authenticity, flavor and reflects the pride of the baker(s). 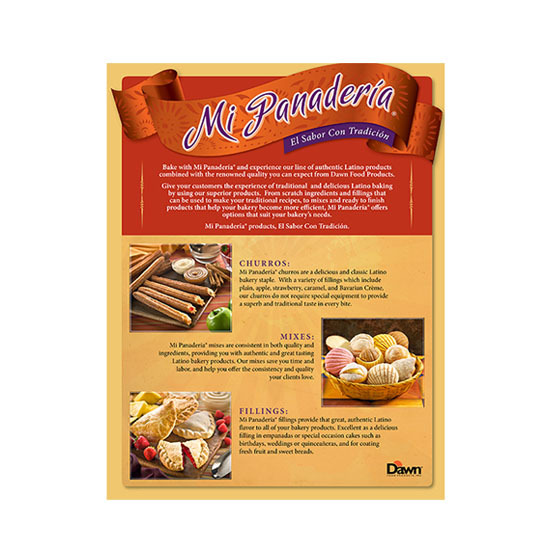 Mi Panaderia is an industrial brand that enhances the customer’s panaderia business. 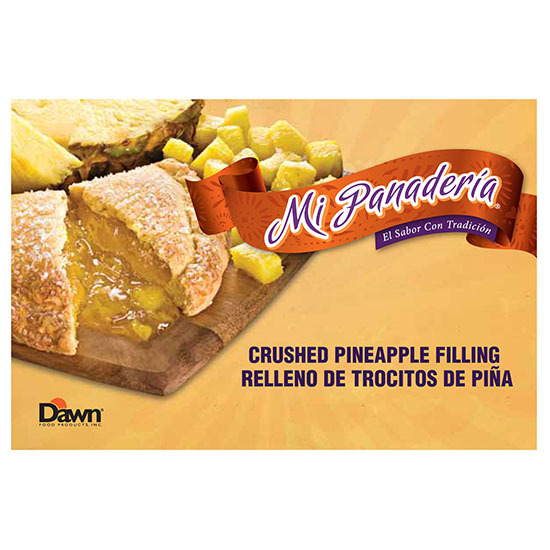 This holds the Dawn promise that the Mi Panaderia brand maintains quality and authenticity for the panaderia and the baker. This tells the panaderia that this is for and about them and making their business better. 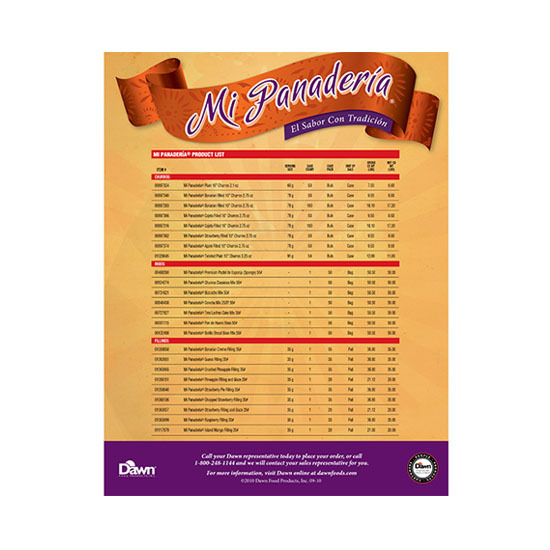 Mi Panaderia is a standard bearer of quality and authenticity. We also shot food photography, created bi-lingual packaging and sales materials.